95,763 new vehicles were sold in October in Australia, according to The Australian Federal Chamber of Automotive Industries’ VFACTS report. It’s a 2.6 percent increase compared to the same month last year. The demand in the commercial sector was the reason for the increase. The demand for commercial vehicles still continue to hike with the light sector showing a considerable 18.5 percent increase. Sales for heavy vehicles increased to 13.7 percent. Sales for passenger cars are still down however, falling to 3.8 percent this month. Sales for sports utility vehicles jumped to 1.2 percent after a decline last month. Asian cars still reign supreme when it comes to sales and demand. Toyota Motor Corp is still in first place with an expanded share of 18.6 percent of the overall market. Coming in at a far second is Hyundai Motor with 9.2 percent. On third sport is Mazda Motor Corp with 8.4 percent while General Motors’ Holden unit took 8.1 percent. Ford had 6.0 percent while Mitsubishi took 5.8 percent. 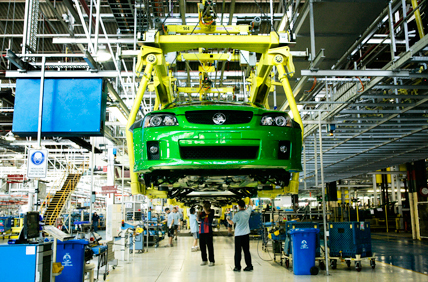 This is certainly great news for the auto industry here in Oz. Why not celebrate by treating your car to the best auto repair service in Canberra? Entrust your vehicle to Roverworks, Canberra’s top choice for automotive repairs, parts and maintenance. Our mechanic team specialises in Land Rover and Range Rover models, in addition to servicing of 4x4s, off-road and other car models. Roverworks also offers interest-free auto repair financing. Check out their Fix It Now, Pay Later offer. Visit our shop for a quick check-up, Mazda consultation, Toyota repairs, or Hyundai maintenance and parts.